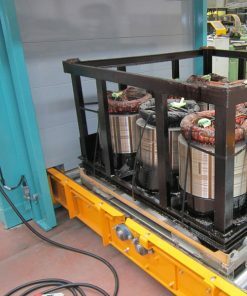 Continuous Ovens for Transformers – Industrial Ovens made in Italy by Idrocalor srl. 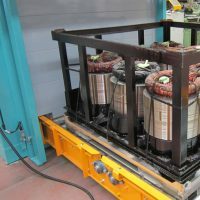 IDROCALOR’ovens are widely used in the drying treatments of dry-type, oil filled and cast resin transformers. The reliability and efficiency of our drying ovens assures the transformer’s highest performances and its long-lasting life. 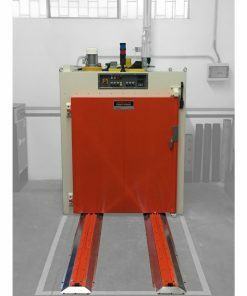 The working temperature range in this application goes from 80° to 160° C. The key factor for a high quality treatment resides in a masterful control of the air temperature uniformity. 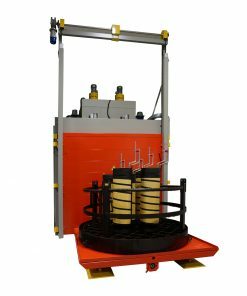 IDROCALOR’ovens are widely used in the drying treatments of dry-type, oil filled and cast resin transformers. 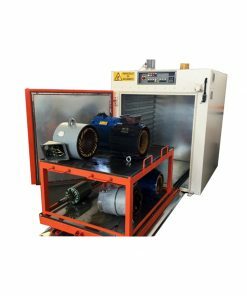 The reliability and efficiency of our drying ovens assures the transformer’s highest performances and its long-lasting life. The working temperature range in this application goes from 80° to 160° C. The key factor for a high quality treatment resides in a masterful control of the air temperature uniformity. A bad management of airflow and temperature inside the oven could lead to undependable results. 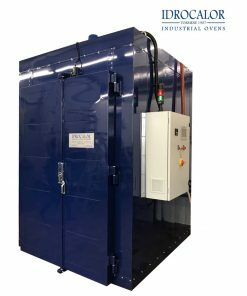 Idrocalor’s ovens, thanks to a constant temperature monitoring and a top-notch temperature uniformity, allow a reliable and predictable result for each batch. 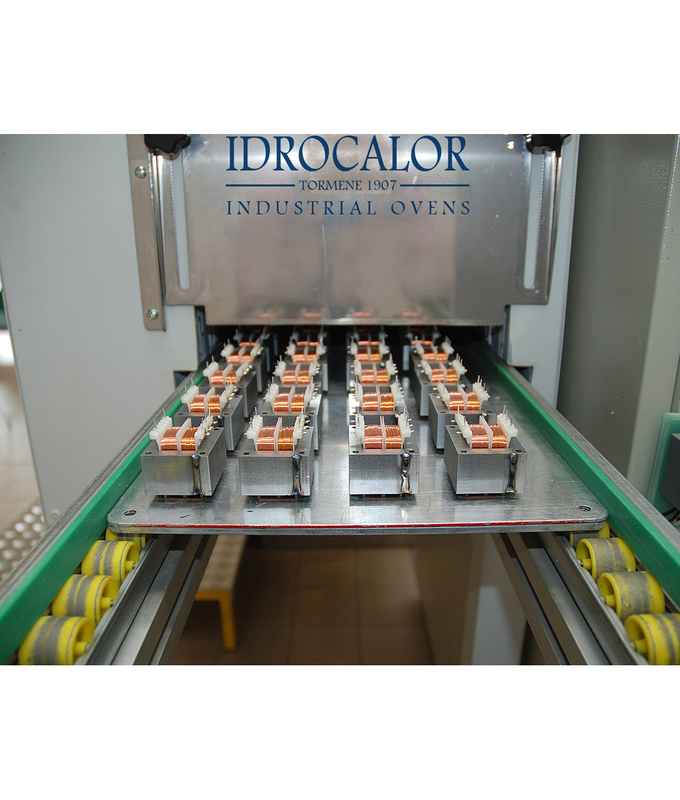 Each IDROCALOR’s oven features a fully costumizable air-flow to allow the best heating for the transformers. The air ducts are costum-made and some of the air-flow settings are also changeable by the Costumer to better suit different products. An example of an air-flow type can be seen on the image on the left. 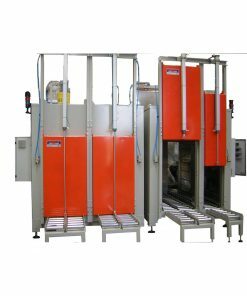 The ovens can also feature different type of door openings: vertical electric doors, manual double leaf doors and horizontal doors. Heat generation can be performed using energy from different means: gas, electricity, steam and diathermic oil.